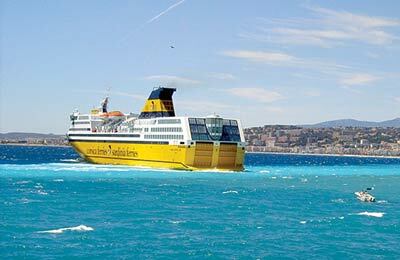 Book Ferries to Corsica, Sardinia, Italy, Elba and France with Sardinia Ferries - Ajaccio, Nice, Toulon, Bastia & More! 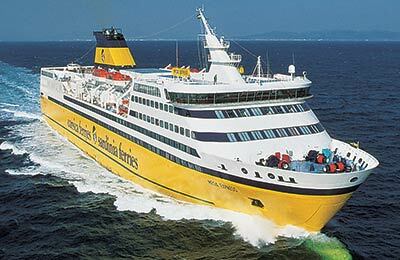 You can use AFerry to book a Sardinia ferry to Corsica, Sardinia, Elba, Italy and France. Sardinia Ferries is also known as Corsica Sardinia Ferries or Corsica Ferries, however, this is the same company. Sardinia Ferries offer the highest standards in comfort and service on board their modern ferries. AFerry always has cheap prices for Sardinia Ferries and the latest special offers. You can use AFerry to book Sardinia Ferries to and from Nice, Toulon, Livorno, Calvi, Bastia, Portoferraio and more. For all Sardinia Ferries routes and to see the latest prices and sailing times see below. Click on your ferry route for a detailed Sardinia Ferries timetable with arrival and departure times. On board a modern air-conditioned Sardinia ferry you fill find a full range of facilities to help your journey pass quickly and comfortably. In fact, you might feel that your holiday has begun even on the ferry. Sardinia ferries offer comfortable cabins, bars, self-service and a la carte restaurants, children's areas and shops. On some ferries you will also find a swimming pool and solarium in the warmer months. Sardinia ferries recommend that you book a cabin for an overnight crossing, however, you can even book cabins on day crossings to help you relax. Sardinia Ferries offer different classes of cabins from the more simple Holiday cabins and cruise cabins to Top Class cabins and even Luxe cabins for the ultimate travelling experience. Whether you travel on board a Sardinia Ferries Nice Ajaccio ferry or if you use the Sardinia Ferries Livorno Bastia route or the Sardinia Ferries Toulon Ajaccio line, you are bound to have a great ferry crossing with this well known ferry company. You can book book your cat or dog on board a Sardinia Ferries ferry with AFerry. Just choose your route and then select the number of cats or dogs you are sailing with. Cats and other small animals must be kept in a cage but can travel for free. 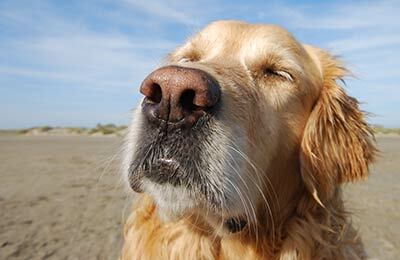 There is a charge for dogs, but they can be brought on board the passenger areas of the ships. Dogs must be kept on a lead and muzzled at all times, and may not enter the restaurant areas. Note that to take your pet to and from the UK to mainland Europe Ireland you will need a pet passport. 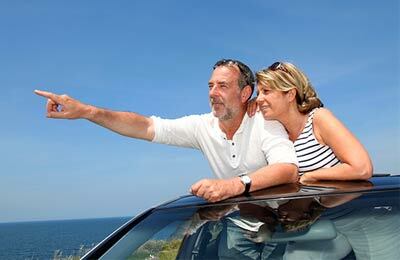 To find out more about pet passports and travelling with your pet see our pet travel guide. Very good trip, fast and comfortable. Best way to travel from France to Sardinia, comfortable and at a fair price.